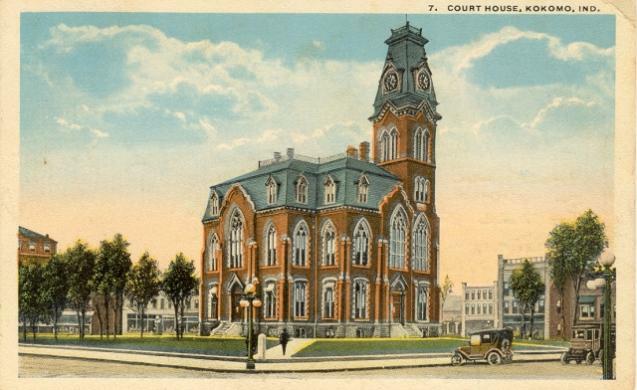 A story that ran in the mid-January papers of 1896 tells the weird tale of phantom footprints at a courthouse in Kokomo, IN. It seems officers who entered the well-secured building discovered the distinct footprints of a woman that traveled down the halls, up the stairs, and into locked rooms. The earliest reports of this manifestation began not long after the acquittal of a man for the murder of a young woman named Stansifer. Many came to believe these ghostly footsteps were her own as she trudged nightly on a sorrowful sojourn. In the winter of 1906, a ghostly apparition stalked the dark streets of Nezperce, Idaho. C. W. Felt was the first to spot her. He was mocked for reporting a spectral woman in black whose face was obscured by a scarf walking silently through the dark streets, sometimes standing stark still for long stretches. But the laughter died off as others began to spot her as well. Young Mike O'Conner spotted her in an alley between two downtown buildings; John Olson was disturbed to find her standing in front of her home for more than two hours. Many of the sightings, some noted, occurred within the vicinity of John Muir's home. Muir had hanged himself on January 1, 1905--a year prior to the phantom woman's arrival. Farmhand, Henry Lipenstick, disappeared in 1915 from a farm in Painesville, OH. Over the years following, that farm saw bad times: repeated crop failures, a house fire, and an inability to maintain any tenants. Locals blamed it on the ghost. It's probably the ghost that Carl Logies encountered when he purchased the land in 1921. Whenever Carl went to the barn, he would spot a white wraith. Disturbed, but not entirely put out, Carl followed the wraith with his gun on numerous occasions. The apparition always vanished in the vicinity of an old well. Finally, Carl decided to clean out the rock and debris that had been tossed down into the well. That's when he discovered the body of Henry Lipenstick. Once the Sheriff was called, it wasn't long before the dots were connected and a tenant from 7 years before, Frank Lemon, was in jail awaiting grand jury charges of murder.